In addition to the offer for organized tourist groups, Camping Marina offers outdoor activities. 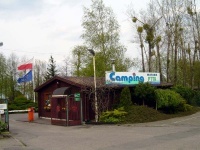 Camping Marina is suitable situated, a mere 2 hours by the motorway from Berlin. 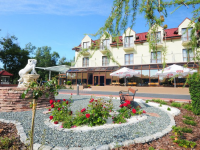 On the Baltic side, it is accessible through the Szczecin bay, the Oder river or Lake Dabie. 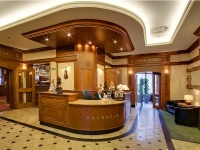 Situated but 10 minutes from the center of Szczecin. The camping has received praise from tourists traveling by car, bicycle, kayak and, of course, sailors. The award given by the German Association of Water Tourism - the "Yellow Wave" badge signals the high standard of both equipment and maintenance. Camping Marina is one of the few harbours in Szczecin to receive the Blue Flag - a symbol of high quality of services offered to sailors. Set in a picturesque environment, among various plants and flowers, the camping houses are an exciting offer for any tourist. 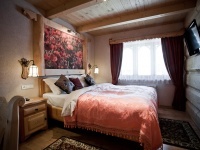 Two-person houses with heated rooms are equipped with a bathroom and satellite TV. Camping Marina also offers 6-person apartment housing located on the bank of lake Dabie. Apart from a living room furnished with a fireplace, a kitchen space, a bathroom and a toilet, each house also has two bedrooms. Overall, Camping Marina offers year-round heated rooms able to house up to 52 people. On a wooded area, fitted with electric and water terminals, there is the caravan able to fit up to 60 trailers. Young tourists are the most frequent guests on the tented field, which holds up to 60 tents.